In winter months, the sun is sitting lower in the sky. It is also arching across the sky at a completely different angle than during warmer months. This can give your eyes more sun exposure during the day if you are outside for extended periods of time. Studies have shown that the sun’s UV rays contribute to the diseases we usually associate with aging. This includes cataracts as well as macular degeneration. Snow is reflective. According to the Vision Council of America: 85% of the sun’s UV rays are reflected upward. This means that the reflective qualities of snow make vision difficult and skiers speeding down slopes have difficulty seeing. It leads to very dangerous situations. Snow blindness is a term used to describe what happens once the eyes have become burned by the sun’s UV rays in reflective glare when no sunglasses are being worn. 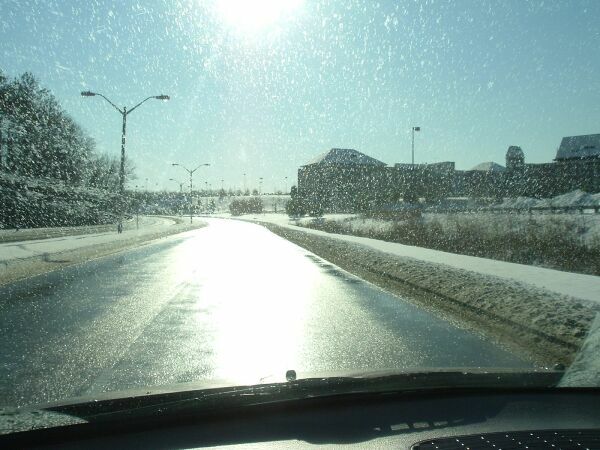 Without sunglasses, snow blindness can effect the cornea for up to a week. Dr. Taub states that this occurring is very painful, yet it does heal. The condition can be viewed literally as the eyes becoming sunburned. Sunglasses are a necessary protection just like sunblock for the skin is very important. Some medications can also make the eyes more sensitive to the suns UV rays. These drugs include sulfa antibiotics, birth control pills, diuretics, tranquilizers. Under the influence of these drugs, the eyes can become burned in one-third or one-tenth of the time. When taking photo-sensitizing medications a person can be in the glare of snow or the heat of summer sun for a hour, and end up with huge red welts on the skin, regardless if the person is wearing sunblock or not. Studies have also shown that children and teenagers are more susceptible to UV related problems. This is usually due to the fact that kids spend a lot of time outdoors. It is a very good idea to have eyes checked every six months or so, especially since the ozone layers have increased the amounts of UV that are getting through our atmosphere, and causing greater levels of UV exposure in general. Teens love sunglasses. It is actually a great idea to encourage this. On average adults should see an eye doctor once every other year and much sooner if any problems arise. Sunglasses that block 100% of UV radiation are the best to own. Always be sure your sunglasses have the anti-reflective, polarized lenses. This means making sure you check the UV protection code that should be posted on every pair for sale. For future reference, if you have a concern about the amount of sun exposure you or a loved one are getting on a regular basis, get a good pair of sunglasses. Don’t be shy about wearing them in the winter, because this glare and extended exposure has long ranging effects if damage is done. For loved ones they make a great gift, and can be very exciting for some people who truly value the style and look they provide. If anyone you care about complains of eye issues–refer them to their eye specialist. Viktoria is from Los Angeles, CA. and works as an Internet Marketing Manager at Guardian Pool Fence Systems. Her goal is to protect children from drowning and bring awareness to pool safety. I cannot use the Selectspecs website because it tells me that my email address is in use even when it is not. I have spent an hour trying to make orders and trying to find a way to email Selectspecs without success. How much business does Selectspecs lose because people like me cannot place an order? You can request your password to be reset. Let us know if you need any further assistance. I have sent this to your email address to. Holly Willoughby – Geek Chic or Deirdre Barlow?